Corlu FM live broadcasting from Turkish. Their productions and information based programs contains such as current affairs, culinary, cultural, entertainment and sports fields. Corlu FM broadcasts its programmes decorate its playlists for a socially and culturally diverse audience. In addition to the broadcast of a variety of information and entertainment programmes, Corlu FM broadcasts diverse local productions. It is one of the most famous online radio station on Turkey. 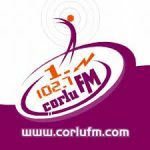 Corlu FM, which is among the first local radios that passed our country’s full automation system, introduced the people of the region to RDS (Radio Data System). Çorlu Fm continues to share with the audience the information about the song’s song, the composer’s names and how many albums have been broadcasted in years. Thanks to RDS, Çorlu FM succeeded to be the first local radio in Turkey to use RCS, which is preferred for use on world radios and national television, as a first in Turkey and to transfer the exchange rates and cross rates of the Central Bank of the Republic of Turkey to listeners. Corlu FM, which broadcasts in 365 days, 24 hours uninterrupted broadcasting guarantee and commercial single broadcast format which is accepted all over the world, is in the format of MPEGI-LAYER 2, and it also has special reporting options for advertisers besides high quality audio presentation to listeners. Orban Sound Processor, which created the definition of “Broadcast Processor” in the world, presents a better quality sound to its listeners and compels the boundaries of the local radio and competes with the world radios with the technologies it has.